Kiersi Burkhart and Amber J. Keyser just might have turned me into a horse lover. Don’t get me wrong–I’ve always admired horses from afar. They’re majestic. They’re clearly incredibly smart. The draft horses I’ve come upon at the state fair, towering over me calmly, are downright awe inspiring. So when I began editing the Quartz Creek Ranch middle-grade series, coming in January 2017 from Darby Creek, authors Kiersi and Amber had their work cut out for them. Not only would we be in dialogue about story edits and character arcs; they would have to answer question after question from me about horse traits, horse vocabulary, caring for horses, riding horses, horse births… and so on. Thankfully, they are experts in this area, and they had their own experts to turn to when needed. What I loved about the Quartz Creek Ranch series from the start is the unique backdrop Kiersi and Amber gave to each book: a Colorado ranch that works with middle-grade youth going through tough periods, with horseback training as the main goal–which, as it turns out, just happens to impart discipline, social skills, humility, and self-confidence on the side, of course. Quartz Creek Ranch is full of kids who’ve never ridden a horse before, and some who have . . . though you might be surprised which ones. They come from various family arrangements and backgrounds all across the economic spectrum, from Boston to Texas to California, with a range of reasons for being on the ranch. And Ma Etty and Willard Bridle, the ranch’s owners, have a special brand of respect, acceptance, expectation, and wry humor that can disarm any of the youth on their ranch–and, by my estimation, any reader. 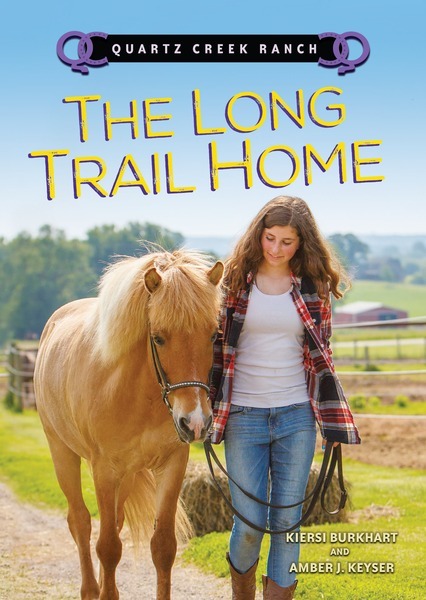 These aren’t typical horse stories because this is not your typical horse ranch. 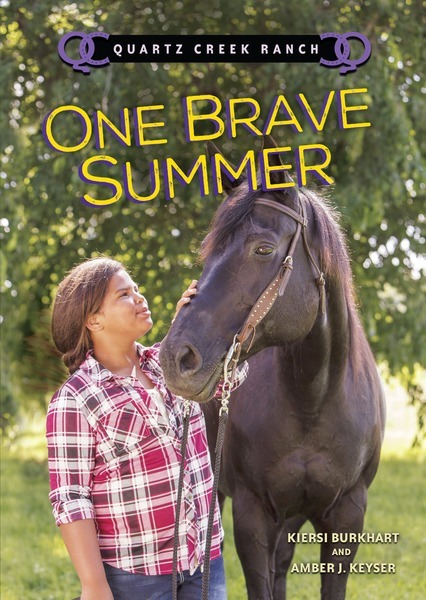 These are deftly crafted stories of relatable characters facing both internal and external challenges, and their respective horse partners are written with no less personality and wit. Young horse lovers will have plenty of vivid, endearing details to chew on–but this editor is proof that to fall in love with Quartz Creek Ranch, no previous horse interest is necessary. 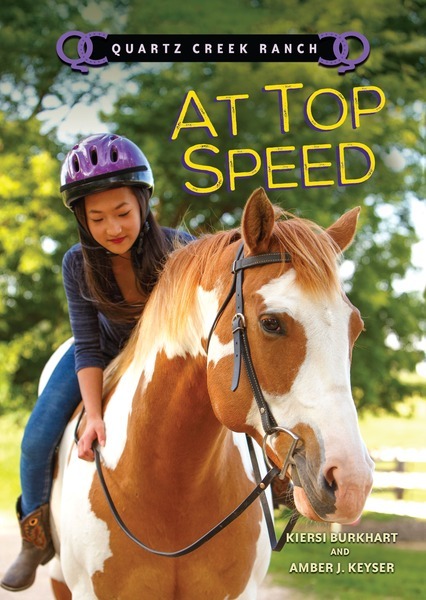 The authors have been revealing each of the book covers over the past few weeks, and we’re thrilled to be unveiling the fourth cover today: AT TOP SPEED. For Ella, winning has always been the goal, and at Quartz Creek Ranch, she’s pretty sure she’ll ace horseback riding too. There’s just one hitch in her plan: Figure Eight, the beautiful quarter horse she’s paired with, won’t listen to a word she says. Struggling with Figure Eight could be the motivation Ella needs to control her ego and temper—especially when she’s turned on to barrel racing. Figure Eight would be incredible at it, she knows. But quiet, sensitive Jordan is the only one on the ranch with time to teach Ella those high-speed turns. Suddenly Ella faces a new challenge on her road to success: figuring out how to be a good friend. We were incredibly lucky to work with a fabulous photographer for the covers in this series, who founded talented models and–dare I say it–irresistibly gorgeous horses to grace the front of each book. Now we’re just excited to get them into readers’ hands. Mark your calendars (and send in your preorders), because all four Quartz Creek Ranch books will be available from Darby Creek on January 1, 2017. Can’t wait to hear reactions from horse lovers new and old!